Stirling Ridge Alpacas is a farm located in Moscow, Idaho owned by Patch and Debbie Blakey. Take a look at our herdsires. 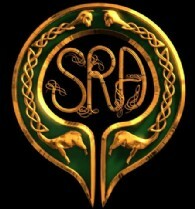 They are rarin' to go and improve your girls! FREE BOARD for 1 month. FEMALES BRED included in price. FREE DELIVERY within 100 miles for purchases $1250 or more (and discount for deliveries over 100 miles or under $1250). FEMALES guaranteed pregnant by ultrasound at Washington State University (WSU) before being shipped. MALES guaranteed able to breed by breeding soundness exam at WSU before delivery to your farm. FULL reproductive and 14-day live cria guarantees. 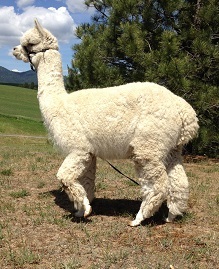 FREE Camelid Dynamics halter with each alpaca purchased. DIRK, breedings at $1250! Lingering fineness! 19 micron, 98% CF at 8 years! McTavish RIP and enjoy your heavenly grazing. If you don't own a farm, but really wish you could own alpacas, we have a solution! Try our RENT-A-WOMB program! 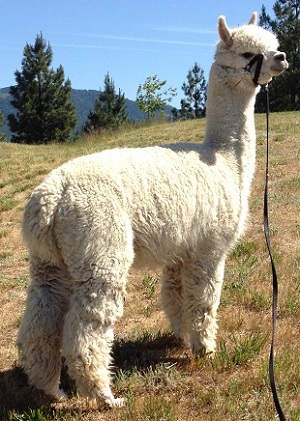 Kenzie was our first girl used in the rent-a-womb program and her cria is now owned by David & Lauren. They chose Kenzie to breed and paid a monthly fee while she was pregnant. They got her bred to a ribbon-winning stud from a local farm (or you can choose from our great studs too). You'll get a major discount on breeding fees to our studs and "renting" one of our females in the program. We'll get the female bred, transport her to WSU for pregnancy check ultrasounds, care for her until she births, and get the cria checked out at WSU. YOU can be involved every step of the way. Call for more details. Total cost can be under $1000 for a stellar cria! DIRK'S 2017, 2016, 2015 and 2014 histograms are GREAT. He won the National AOA Spin-Off in 2014. His 2013 EPD results: AFD 17.0 SD 3.7 CV 21.6, comfort factor 99.6%, spin fineness 16.7, 0.4% > 30 microns, mean curvature 60.5 deg/mm. WOW! His 2017 histogram is AFD 16.7, SD 4.2, CV 24.8, comfort factor 98.8%, spin fineness 16.8, 1.2%>30 microns, mean curve of 63.8 deg/mm. DOUBLE WOW! DIRK has several gorgeous cria on the ground, including our own little McCheyne. 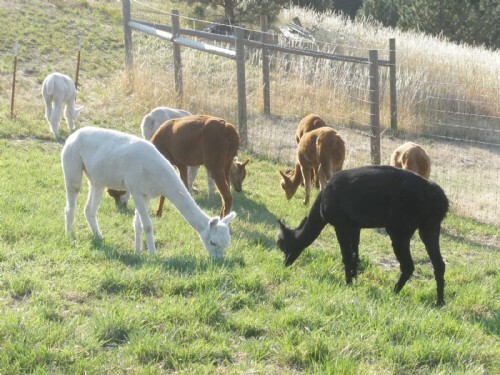 Thanks to Premier Alpacas of the Palouse, Rockford Bay Ranch, Sweet Pines Alpacas, and Shadow Ranch Alpacas for choosing to use him in their breeding programs. We are pleased to discount for multiple breedings (from just your farm or get several farms together). Located in Moscow, Idaho, our small farm and bed & breakfast is nestled in the rolling hills of the northern panhandle area of Idaho called the "Palouse." We're just 15 miles from Washington State University Veterinary Hospital (WSU). Dr. Tibary is our expert vet, world-renowned & specializing in camelid reproduction. Pre-breeding checks determine the best time for breeding using ultrasound. Once bred, the females are periodically checked to assure they've retained their pregnancy. Your girls will get the same care as ours while here. Boarding services are our specialty. If your girls are experiencing problems getting pregnant, staying pregnant, or your boys aren't "shooting bullets" Dr. Tibary at WSU will figure out the problem! Reduce expenses by keeping your animals on our farm instead of being boarded at WSU. 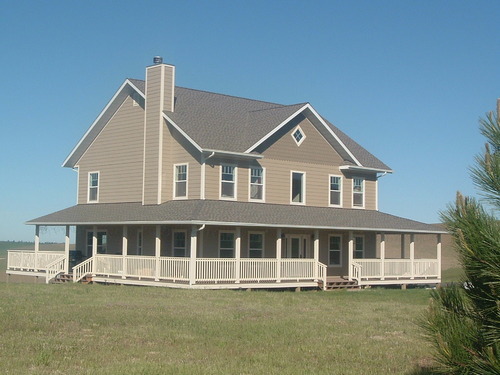 Your alpacas will have outdoor access with pasture in their own safe, quarantined pen on our farm. We charge $3/day + transport charges for WSU visits. We have a comfortable and cozy room with private entrance, kitchenette, and private bath for visitors from afar interesting in buying alpacas. For those especially interested in alpacas, we'll show you how to feed, water, walk, train, clip toenails, trim teeth, even how to expertly poop-scoop! Ask all the questions you want to learn about these captivating creatures! We realize everyone's situation is different and we are willing to draw up terms agreeable to both parties. Don't hesitate to ask for a plan that works for you.